Name Name of the approval matrix. 2. Fill up the information on top half of screen. 2. 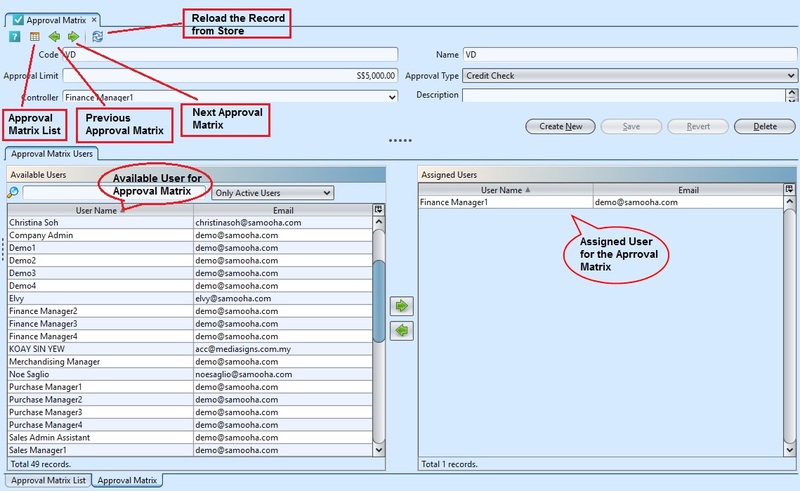 Select a user name from the “Available Users” list and click on the “ ” button to assign the user as approval. 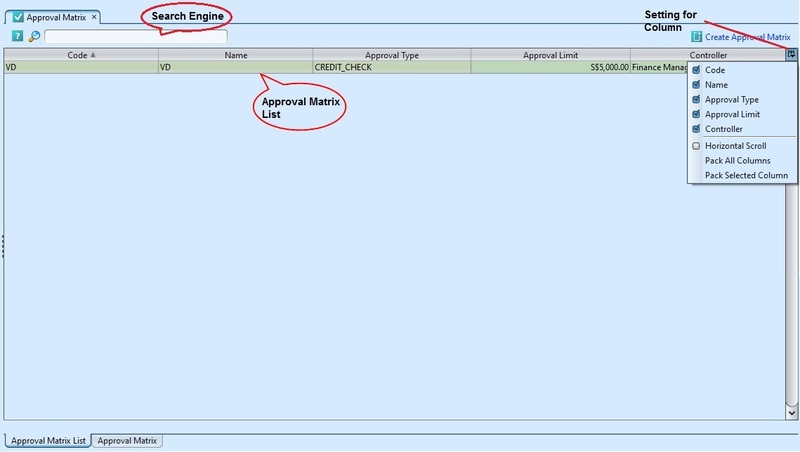 *Note: Deletion of an approval matrix is possible only if no transactions used the transaction.